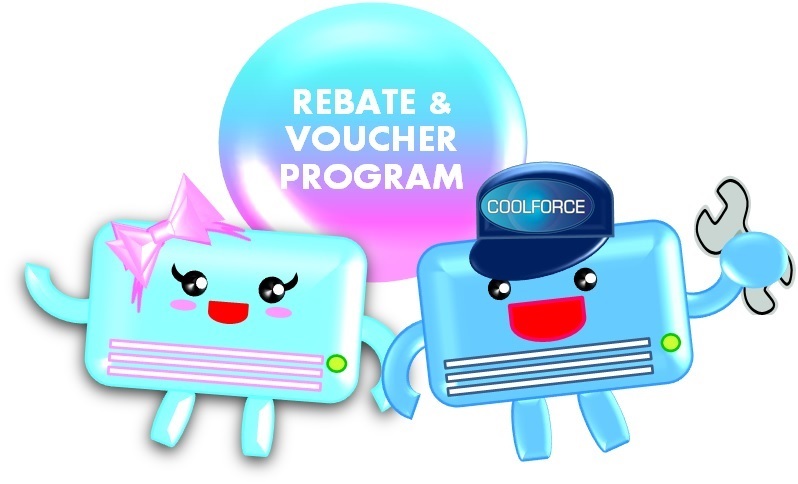 REBATE & VOUCHER PROGRAM; a retail rebate rewards program applies to air-conditioners maintenance services (for Residential Customers only). For every $100.00 spent on maintenance services in single order entitles you with $10.00 Coolforce Cash Voucher. This cash voucher(s) is transferable and valid for 12 months from your recent servicing . It can be used to offset for future Maintenance Services (Not valid for Maintenance Contracts Package & Other Promotion) from us. It is our way of saying thank you for being such a valued customer. We hope you will take advantage of this offer and will arrange your next maintenance service before the voucher(s) expires.